To mix things up a little, today I thought I'd talk about something that's not beauty related but my ultimate relaxing treat! Whittard's do a delicious range of instant teas that I haven't been able to get enough of since my sister bought me a bunch for my birthday along with a wonderful ice tea set with birds of paradise adorning the glass. As a staple, my partner Ross and I always keep the Mango and Lychee (£5.50) flavour in the cupboard, it never fails to impress guests! But, after running out of Strawberry and Vanilla (£5.50) and frightening low on Dreamtime (£5.50), I decided to have a look to see what other flavours we might like to try. Peach Melba (£5.50) jumped off the shelf for me, I can't get enough of anything that's either peach, grape or berry related. This also contains raspberries, so it's an instant hit in my book. Being both a coffee and tea lover, I'm quite a purist. I like my tea strong and generally the kind that you need to let infuse, the same goes for my coffee and I much prefer filter to instant. Now, this is where Whittard have turned my expectations on its head. I'd never used an instant tea before, so didn't quite know what to expect, but figured it might be slightly weak if you didn't use enough. I was wrong! The recommended scoop is perfect for a really strong, flavourful cup of tea and there's no need to add any sugar to make it sweet as it's mixed with real cane sugar. Cozying up on the sofa with a large mug of this, a terrible sitcom on the television and a heap of fashion magazines is my ultimate in downtime. I can't wait to be able to make iced tea with all my Whittard instant teas, especially knowing how wonderful they taste hot. 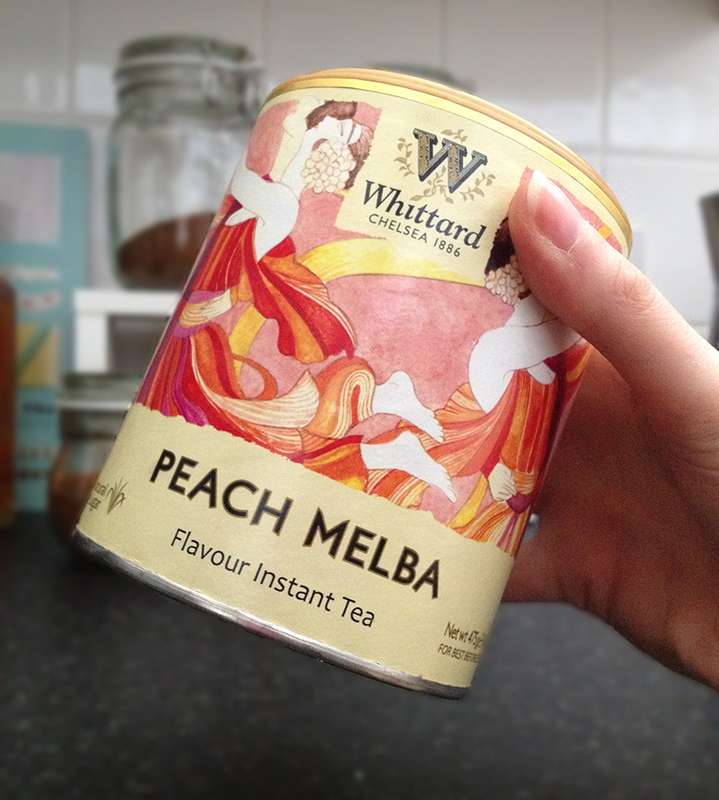 Have you tried any Whittard's Instant Tea? What's your favourite? I love this stuff! Whittards has been my guilty pleasure since I found it when I was about 15. You have such a cute blog, I've loved reading your posts! Followed on Google friend count and bloglovin'. Thanks for having a look at the blog, it means a lot! Whittard's is just one of those tea brands that hits all the right spots. I'm glad I'm not the only one that enjoys their products. It's only recently that I tried the Instant Teas but my cupboard is full to bursting with them now! I will most definitely be following your blog, I love your confidence! Followed you on Bloglovin', you have great taste! The tea sounds delicious! Don't have a favorite, I love them all.